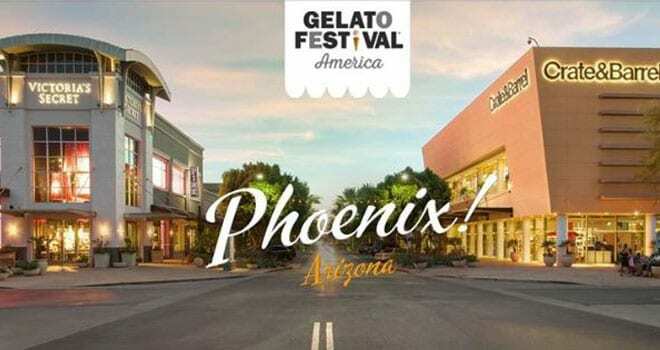 Monday, October 22, 2018 — Gelato Festival America, now in its second year, celebrated the second Scottsdale edition this weekend at the Kierland Commons. The mission of Gelato Festival America is to spread the culture of artisanal Italian gelato throughout the United States by visiting seven cities this summer. 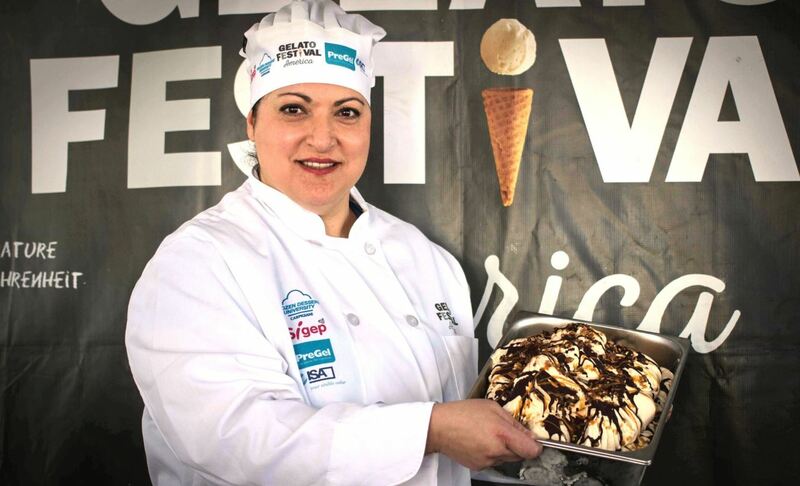 The winner of the contest for best flavor at this Festival was Sassy Sea Turtle, presented by Daniela Zomparelli from Lola’s Gelato in Toronto, Canada. Other prizewinners included three residents of Scottsdale: Alondra Vazquez and Mario Cimmino of Gelato Cimmino and Matteo Binella of Luna Gelateria. – Second place went to Razzle Ricotta, featuring the extra clean flavor of hometown Wisconsin cow’s milk ricotta cheese blended with fresh raspberries, infused with raw organic Madagascar Bourbon vanilla beans & “knotted” with handmade raspberry marbling. By Kathy Turek of The Knotted Cone Gelato Co in Appleton, Wisconsin. – Third place went to Luna, described as a light Sicilian pistachio Gelato with chocolate chips. By Matteo Binella of Luna Gelateria in Scottsdale, Arizona.